Post production or off-line captioning is used for programs that have already been recorded such as television series, commercials, online videos including YouTube as well as movies and documentaries. Our team of experienced, US based associates provides superior accuracy and allows us to handle even the most complex subject matter. LMS offers post production captioning for every style and budget. 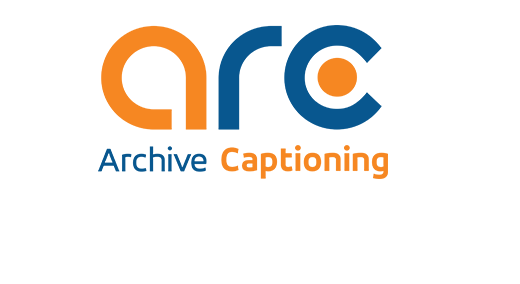 If you have a video or film that needs captioning, ARC can help! We work with clients across the country to caption YouTube and other web video, commercial spots, short films, and other media. ARC can caption your Flash, WMV, Quicktime, RealPlayer and other video so you can reach the broadest audience possible. Captions can be prepared in several different styles. Placed Pop-On Captions: Captions are synchronized to the programming, and placed to visually indicate the speakers. They are timed and placed to synchronize with the program. Pop-on captions look similar to subtitling and can be positioned anywhere on the screen to help indicate who is speaking, or formatted to indicate “off-screen” dialog or sound effects. Stationary Pop-On Captions: Captions are centered at the bottom of the screen with speaker changes noted by a dash. Roll-Up Captions: Captions scroll onto the screen in a continuous flow and use chevrons (“>>”) to denote speaker changes. ARC supports multiple workflow options primarily digital file based media. We can deliver industry-standard caption data files to your systems, as well as directly encoding your media files. Although videotape is pretty anachronistic, we still support video encoding to Digital Betacam and HD-Cam, should you desire. When you send us your project, we’ll ask you what format you’d like to send and receive and also what style of captioning you’d prefer. For more information on Video services, call us at 800-870-1795. Our experienced staff can develop a proposal to meet your time frame and budget.